ZOEVA’s high-performing brushes not only look beautiful, but also are considered among the best in the business, enabling you to blend and buff like a pro. Plus, each brush has its name written down the side, so there’s no head scratching as to what it’s meant for (hurrah!). 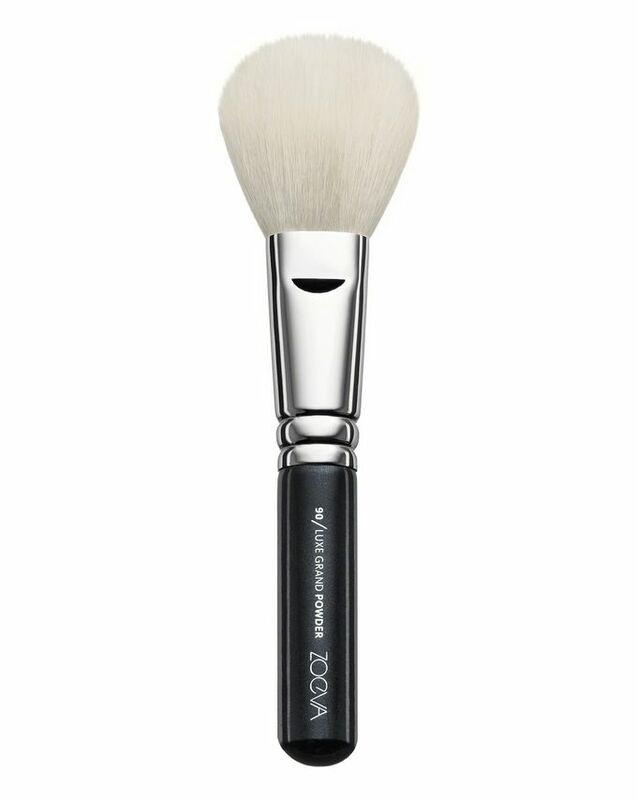 Their Luxe Grand Powder Brush (090) is ideal for applying and blending loose and pressed powder seamlessly and easily. This delicate powder brush has gossamer light bristles that are densely packed, perfect for distributing and blending mineral foundation and powder pigment. The design features a chic black wooden handle, metal ferrule and a natural-synthetic bristle blend. ZOEVA’s collection of brushes are beloved by professionals and make up devotees alike, each one delivering a flawless finish so you can boss even the trickiest of make up techniques. 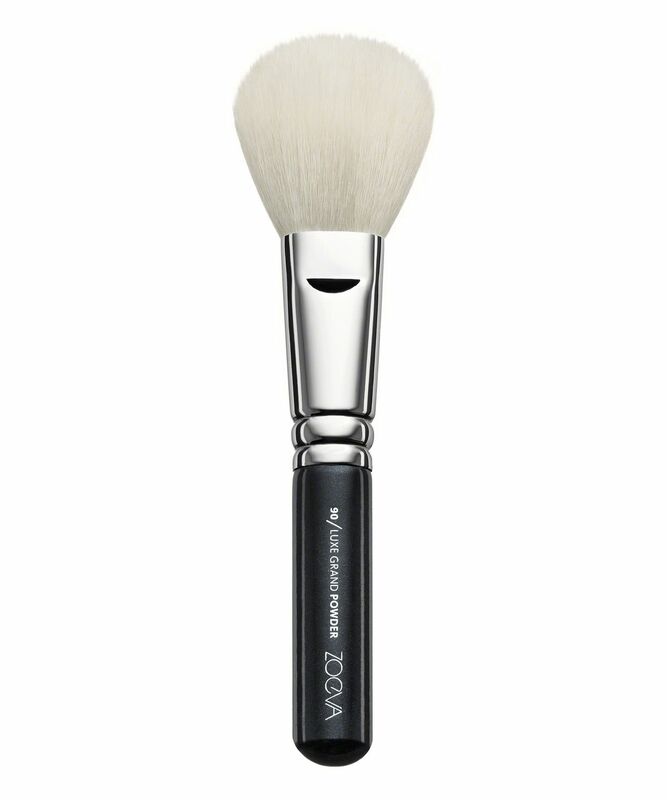 Feather-soft the broad brush head of the 90 Grand Luxe Powder is the ideal tool to fix the make up extensively with loose or pressed powder – for a perfect finish. Before application, flick the brush with your thumb and index finger to remove excess powder. Fantastic brush. Very soft which absorbs all the amount of powder needed. I have used it with compact and loose powders with great success. I would definitely recommend it. Absolutely love it, super soft and gentle yet it picks up just the right amount of product. I use it to powder my face, but mainly for bronzer (it's the most perfect size for it), works for blush as well. Applies bronzer evenly without any patches. Bristles haven't been falling out. I'm also very glad it comes with the plastic bristle protector (only disappointed that eye brushes don't). I would absolutely recommend Zoeva brushes, I wish I got them sooner. Finally found a perfect brush for my bronzer. Absolutely love it. I use this brush for applying my blush and it is really good. In the beginning, some bristles have falling out, like a very few but not a big deal. It comes with a plastic pouch and a protection for the bristles, I find this really useful actually. Absolutely perfect brush for my bronzer. All Zoeva brushes are simply amazing!